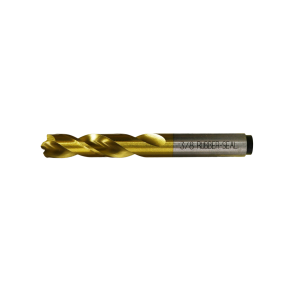 Premium cobalt steel spot weld bits coated with titanium nitride (TIN) for lubrication and tool longevity. The high hot hardness of cobalt permits speeds 30% over regular high-speed drill bits. It is the ideal bit for use on boron steel.